and more chances to begin anew. as they unfold and show themselves true. if moving forward is what we must do. 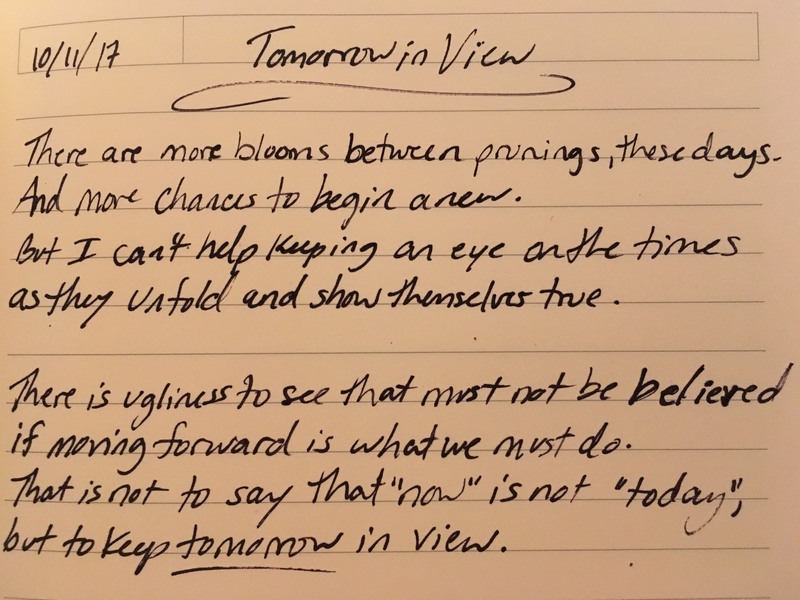 but to keep tomorrow in view. ~ by lindseywhitemusic on October 12, 2017.